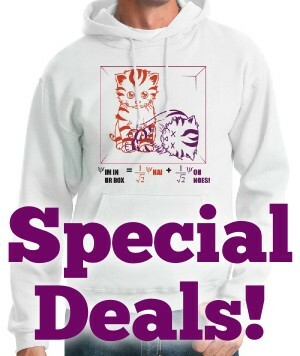 A physics design from Kawaii Shirt Shop, our sister store which specializes in cute and quirky shirts. 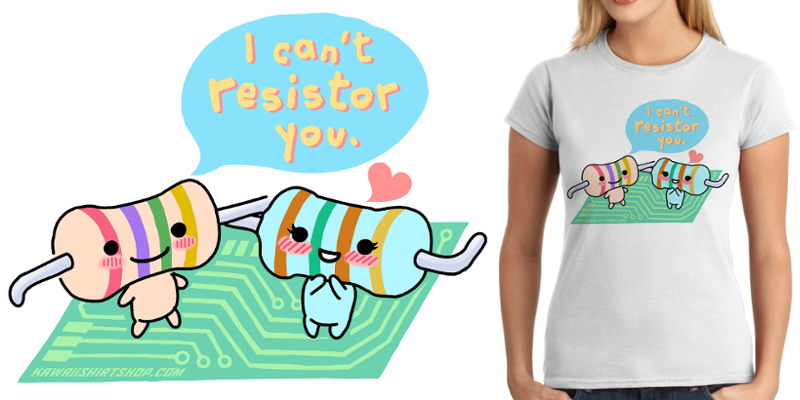 This physics / electrical engineering shirt features cute, anthropomorphic resistors. "I can't resistor you," says one resistor to the other. The I Can't Resistor You design is available on unisex and women's T-shirts, as well as hoodies. A great gift for students, scientists, engineers, and geeks in general. The shirts can be purchased at the Kawaii Shirt Shop store.